This image is from exactly two years ago. 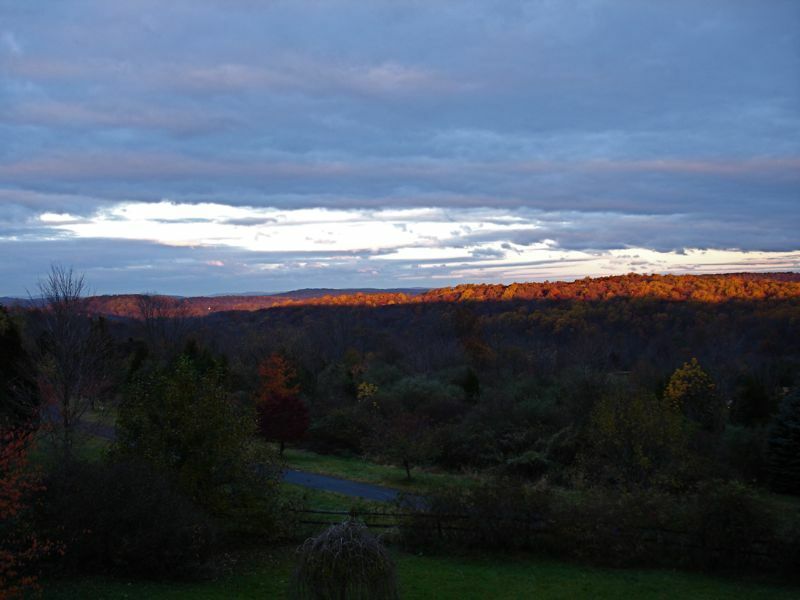 On October 26, 2006, I took this photo from my deck as the sun was rising. I always enjoy seeing the colors appear as the sun peers over our hill. The shadows gradually drop down the opposite hillside and voila.